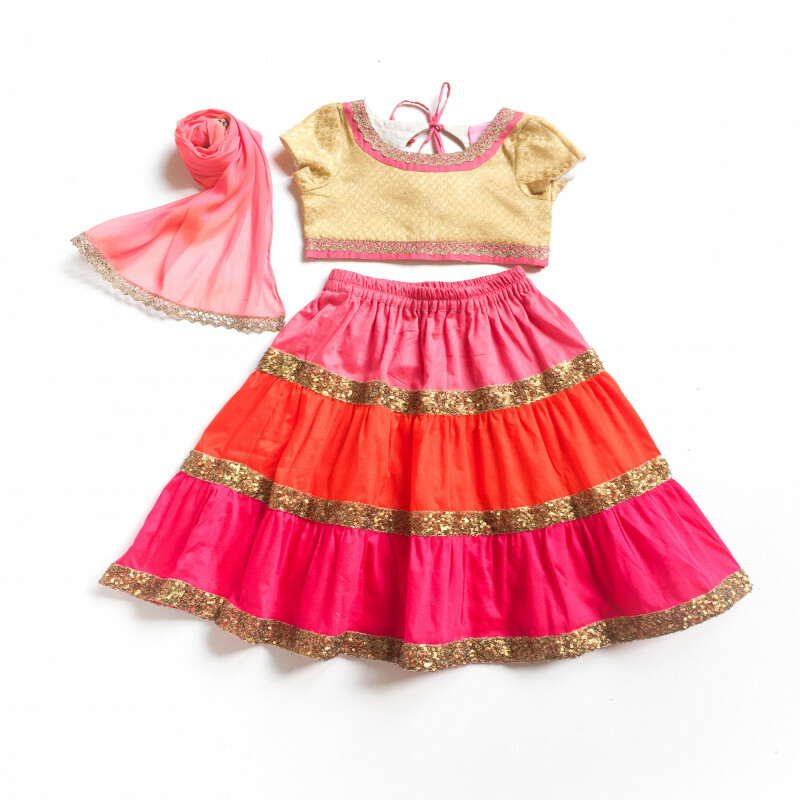 Little Pixie Multicolor Vibrant Lehanga Choli Set It’s a multicolor set that has gorgeous choli and colorful lehanga with some shimmery golden work. You will also get a cute dupatta with the set. Just accessories it with a cute earrings , if your girl has piercing and you can also add some bangles. Little girls love bangles. Golden color headband will add more grace, so you can try that out as well. This set is just gorgeous. 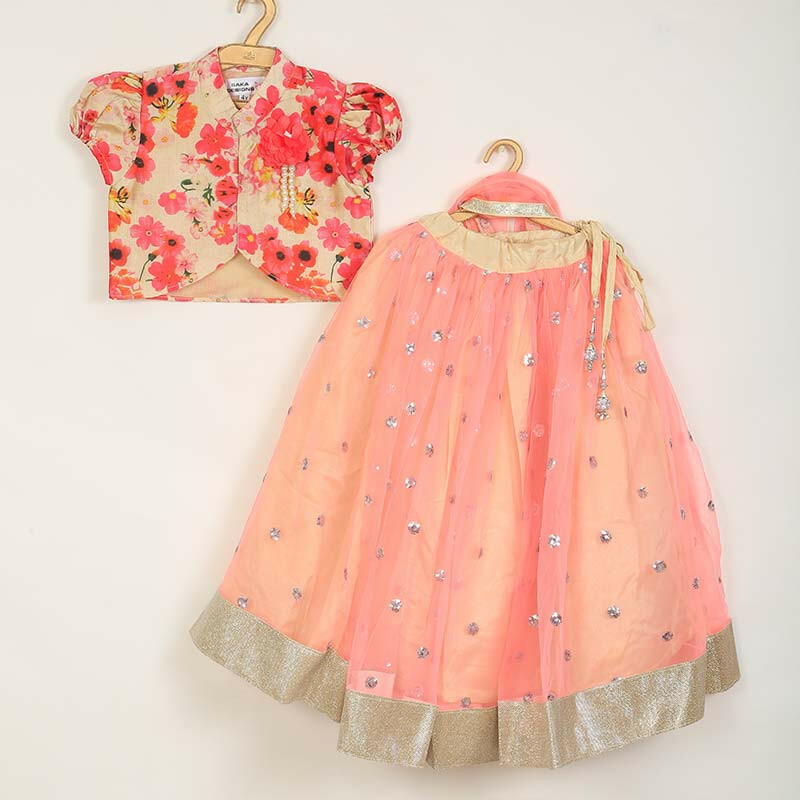 The sequin work is giving the shimmery look and the floral choli looks extremely moderna nd classy. The fir is very comfortable and you don’t need a lot of accessories as it already looks very pretty. Just grab a cute footwear and some bangles. That’s it and your girl will rock the wedding party. Brocade never goes out of fashion and that is what making this set worth purchasing for your girl. 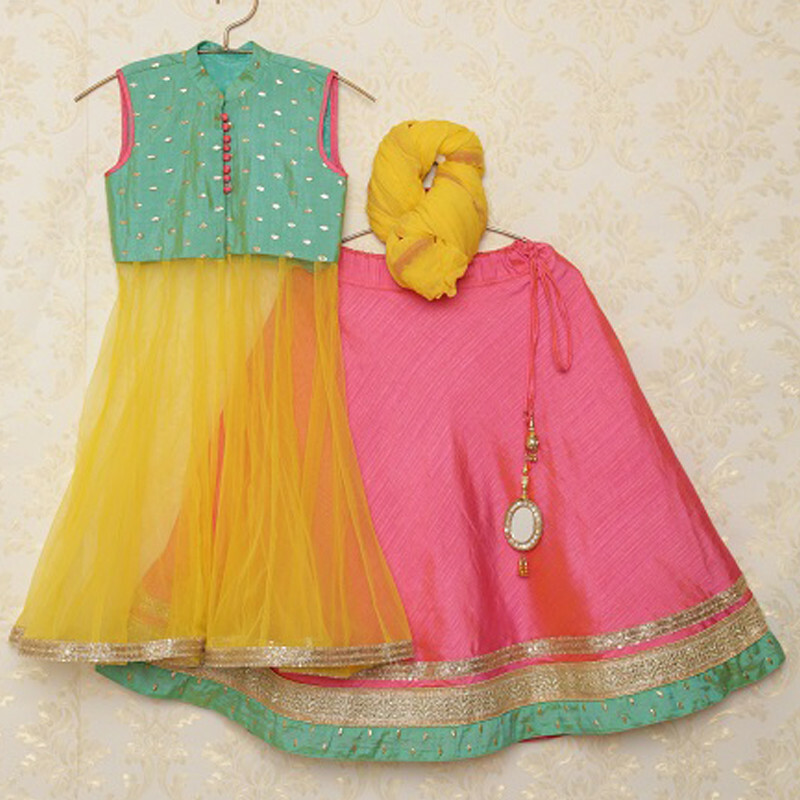 The color combination and gorgeous choli is looking so amazing. You just need a golden work footwear with it and no more accessories. A simple earrings will work perfectly with the attire. The color of this set is very glamorous. The tassel and thread closure at the back of the choli looks very stylish. You just need a pink cute color earrings and some colored bangles to accessorize it. A purple color bellies will look perfect with the attire. It’s a must buy set. This charming set looks heavy but it’s super comfortable and the design and the color is amazing. You girl will look like a princess in this set. Lehanga is more graceful and the choli is very stylish. You just need an adorable earrings and a cute footwear to complete the look of the attire. The above options are the best you can grab for your girl this wedding season. 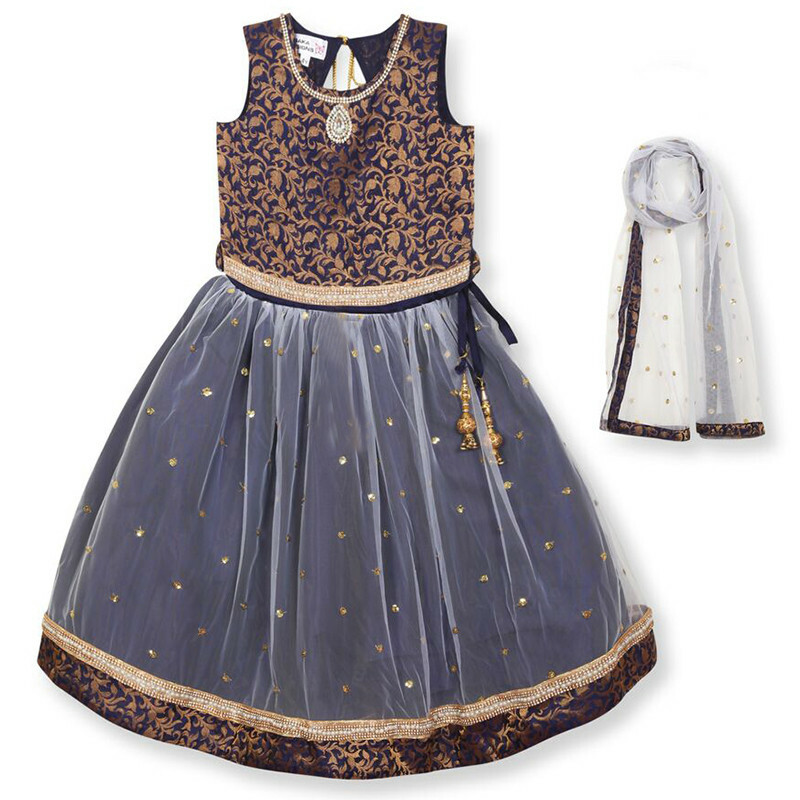 So, stop looking here and there for traditional dresses for kids and grab the perfect dress from babycouture. 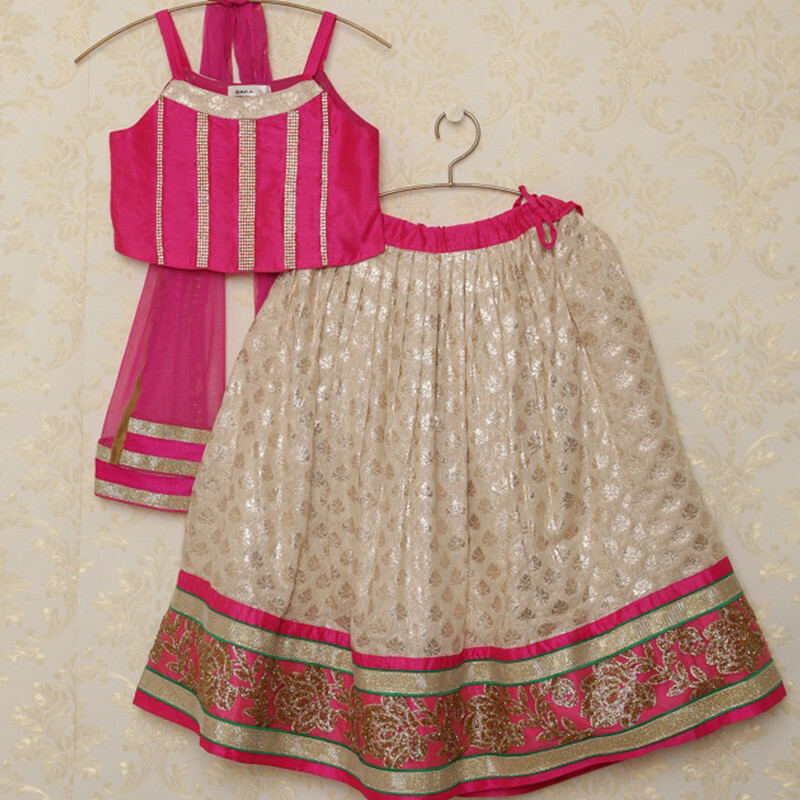 The post The Wedding Season Is Here – Lehanga Choli Set For Your Baby Girl appeared first on Baby Couture India.